3rd July is the 80th anniversary of the fastest run by a steam locomotive – 126mph by the Gresley A4 pacific Mallard, seen here in company of 3 other A4s 60019 Bittern, 60007 Sir Nigel Gresley, and 60009 Union of South Africa at the NRM July 2008. (C) Robin Coombes. Editor’s Selection 1:Barrow steam locomotive fireman tells his story in poems. And regular readers will recognize that this editorial and welcome is a repeat of last month’s editorial.The issue is that serious.. Regular readers will be aware of the images toward the end of the newsletter relating to some international railway groups..
Of these WATTRAIN is foremost, with the stated aim “to form a world-wide organisation to promote the interests of the owners and operators of heritage and tourist trains and trams”. International conferences have been arranged..the inaugural conference (at the NRM York)coincided with the arrival of the repatriated A4s for the Big 6 celebrations at the NRM. Litigation:Protection of Historic Collections and Insurance) will be covered in the sessions by experienced railway preservationists. The issue relating to future staffing was a subject that came up in a discussion Rail Tube recently had with Ian Prosser CBE, HM Chief Inspector of Railways. 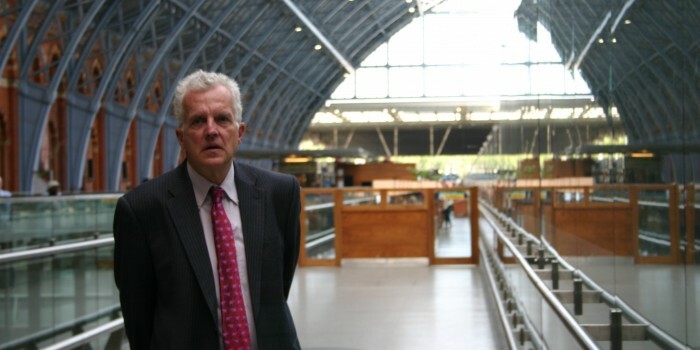 He referred to the challenge of “the succession issue”, that is, training to ensure that when the current older generation with its skills is no longer here or available, there will be sufficient “replacements” to keep heritage lines and locomotives rolling for the benefit of all who visit the over 200 locations in the UK. Perhaps you are a keen follower of preservation and heritage railways, and mainline steam. Is there a way you could give of your services to your local heritage railway.. or take up some form of engineering skill to safeguard the future of these iconic vehicles? Please give it serious thought! Meanwhile..on with this month’s edition of “On Shed”. As always, thanks are due to those who make contributions to the newsletter..
You will find the regular features, and something of a first..an in depth description of an engineering matter courtesy Shaun McMahon. The development of clean steam traction has been a regularly visited topic in these days of environmentally friendly thinking. Much has been done since the days of Chapelon, followed by others in his footsteps,notably LD Porta, David Wardale, Phil Girdlestone ..and Shaun McMahon. “Shaun McMahon began his railway career on the Ffestiniog Railway, joining the permanent staff there as a trainee technician engineer in 1984 when Phil Girdlestone was Works Manager. Thus began a working relationship between the two of them that continued up until the time of Phil’s death in 2016. Shaun McMahon and talking with Chris Parrott(left)beside FCAF No.3 Camilla.(C)5AT.CO.UK. As ever, please enjoy the following selection and regular features! IN August it will be 50 years since the end of steam power on Britain’s railways and those times have been recorded in poetry by a Furness man who fed the fires on those iconic freight and passenger locomotives. Footplate Memories by Roy Grant describes in great detail the hard life of a railway fireman. The pen pictures of working days at the Barrow Shed, Lindal limestone quarry, Workington and Saltley, Birmingham are backed up with some great images from the age of steam. The railways are like arteries, the lifeblood of the nation. “They run over mountains; through valleys and stations. “Over bridges and viaducts, built ever so grand. “The drivers and firemen are kings of their trade. “To get where they are they go through the grade. “This fire-breathing monster they have to control. Mr Grant talks about his first job as a locomotive cleaner on locomotive number 5129. He would empty the ash pit and move coal with a shovel. The task of fire dropping gave the chance to drive a locomotive back to the shed at the end of its day’s work. Aged 16 it was a thrill to be in briefly in charge of a 100-ton steam engine. This was an era of early morning newspaper trains, morning and night mail trains, mixed freight and even football and rugby specials to Wembley. He left school in the summer of 1958 and his first job was with a butcher before he started with the railway at Barrow in 1959. Aged 15, he was at the Barrow goods station as a messenger boy. In those days the main Barrow railway offices were in St George’s Square. He then went to the Barrow railway shed as a cleaner. It was a 3.30am start for £3.67 per week. Locomotives from this shed bore the location code of 11A on an oval metal plate. There was an influx of 20 Metrovick diesels in 1961. Mr Grant moved to Saltley, Birmingham, to keep firing on steam locomotives – before diesel finally took over and he transferred back to Barrow. 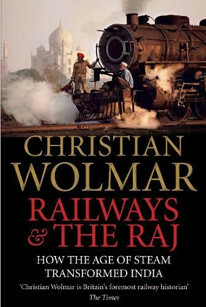 In My Railway Life he writes: “The whole railway world was changing, with more diesels coming on stream. His first run as a fireman had been on the 5647, named Sturdee, from Barrow to Workington. The route passed the junction at Foxfield for the Coniston branch which saw its last passenger services on October 4 in 1958. Also worked on the quarry trains to collect limestone at Stainton – a run known as Stainton Bobby – and on the run to Lakeside, on the branch line from Ulverston to Plumpton Junction. Mr Grant fired on the main train of the day – the 1pm Workngton to London Euston. He would work the 10-coach service as far as Preston. Mr Grant also worked on banker trains – giving a little extra power to a train struggling up a steep gradient. One poem describes a night shift on August 3 in 1961 with a Fairburn tank engine to give a 10-mile helping hand to the Jubilee Class 5604 Ceylon. Copies of Footplate Memories at £10 are available from Mr Grant on 01229 471763. I am delighted to tell you that we are now firmly on our journey to operate express steam trains on the main line in Britain. We have achieved our first target and raised over £850,000 so far. This means that we can now keep the share offer open until the end of the year to raise further funds to improve our carriages and develop the Tyseley Locomotive Works site. TLW has completed fitting Clun Castle (a steam locomotive not built at Horwich – ed.) with all the electronic apparatus required to comply with Network Rail’s regulations and, as soon as VTL receives its steam safety certificate and licence, we will begin main line trials. We will, of course, advise you when we are ready to do this as you will have priority booking opportunities. It is wholly appropriate that we begin our steam services with Clun Castle as she inaugurated the Tyseley Collection. Clun was one of the first privately owned steam locomotives to see service on excursion trains on British Railways and the first to begin the services subsequently authorised by BR after the end of regular main line steam.The board has made funds available to Vintage Trains Limited to secure its passenger charter licence from the ORR and establish its mobilisation plan. We authorised Tyseley Locomotive Works (TLW) to begin the carriage restoration plan which will start with undertaking safety & maintenance checks, ensuring we have a train fit to run on the Shakespeare Express, Cotswold Express and similar services. I am delighted that the Community Benefit Society will be run and managed by shareholders as a true co-operative. Whilst Vintage Trains Charitable Trust will be our Parent, all our CBS Directors and initial officers are shareholders. The board currently comprises Adrian Shooter, Michael Gilbert, Robin Coombes (also company secretary) and myself. On Friday we appointed Professor Paul Salveson to the board, a co-founder with myself of the Community Railways concept many years ago, which is now the Association of Community Rail Partnerships (ACoRP). Our finance officer will be Jim Kirkman, our registrar Peter ‘Fuzz” Jordan and our assistant secretary Mary McCullough. We have already established our team for Vintage Trains Limited. This will be led by Cath Bellamy, Managing Director, working with Ben Mason, Commercial Director and Ian Lake, Operations & Safety Director, all under the guidance of its Chairman, Adrian Shooter. The great thing about this is that most of the team has already worked together to deliver outstanding customer service and safe operation at Chiltern Railways. Team building, a core requirement of success, is already done. We will also be progressing with our Community Plan based initially at our Tyseley depot which, this year, celebrates 110 years of continuous service as a steam locomotive depot. We intend to further develop Tyseley Locomotive Works, inaugurate Metropolitan Railway Carriage & Wagon Co. Ltd and develop community space for various functions, training and other activities. Lastly, we would be very grateful if you can help us with our further fundraising for our carriages and so we can run more trains, perhaps by introducing a friend or colleague to the share offer. Full details are on our website www.VintageTrains.co.uk or telephone 0121 708 4960. Shaun McMahon describes in detail, with the reasons, the conversion of Welsh narrow gauge steam locos from coal firing to an oil firing system now extensively used by a number of railways. The number of times that the writer has been asked this question while driving trains at the Vale of Rheidol and Ffestiniog Railways is uncountable. The reply of ‘we don’t carry coal sir, as it’s an oil fired steam locomotive,’ is normally followed by a long explanation into the reason behind the conversion to burn oil and how the system works, not to mention reassuring the by-now distressed passenger that he or she is still travelling behind a proper steam engine. Oil-fired steam engines have been in existence for many years in Britain, not to mention overseas countries. The Great Eastern used oil firing nearly a century ago and in the 1940s the Great Western converted a number of its fleet to burn heavy fuel oil, the primary motive of that exercise being to overcome the acute coal shortage suffered at the time. Initially the GWR hoped to save some 13,000 tons of coal by the conversion of 18 locos to burn oil. However, it was only in the late 1960s that the now world-famous Ffestiniog Railway looked seriously into the possibility of adopting such a system. Following the reopening of this line, train capacity had been steadily increasing over a number of seasons. Naturally under these conditions, locomotives were worked harder, thus increasing the amount of carryover from the firebed. As the railway now ran through dense woodlands for a number of miles, the result was disastrous, with forest fires becoming almost a daily hazard. As the fire risk increased, so did the railway’s annual insurance premium. Something had to be done to eliminate the problem, the natural course of action being to adopt a method of combustion that didn’t involve the risk of spark emission and also provided efficient combustion under arduous operating conditions. Conversion to oil firing looked like an obvious answer and after much investigation it was decided by the company to adopt the Laidlaw Drew system of burning oil. The method of combustion is fairly straightforward. Fuel oil is fed by gravity from a tank (placed in the locomotive’s former coal bunker or tender) through a pipe directly to the swirl burner. Steam is also fed to the burner via a separate pipe. The steam is fed annularly via a swirler while the oil is fed directly through the centre of the burner until it reaches five equispaced radial holes in the burner’s film-screw body. The oil is emitted through a gap nominally 0.025in for gas oil, though the gap is, often enlarged when attempting to burn heavier grade fuel oils. The swirling steam effectively ‘catches’ the fuel as it exits from the burner and in turn atomises it within the firebox. Emission between the burner choke and angled film-screw cap decides the final flame form in relation to firebox grate area, volume and forced draught. The conventional grate is replaced by a fire panplate, which contains air tubes angled at 29° to the horizontal and forming a circular path of primary air, in order to encourage good combustion. In this particular system the amount of primary air cannot be controlled. Following ,some very recent tests carried out by the writer, it is evident that the system would benefit from some form of controllable damper system, in order to limit the degree of primary air entry via the pan plates as required under different steaming conditions. Refractory brick is cast onto the lower walls of the firebox and panplate. A brick arch of optimum length and angle is also employed in order to distribute evenly the flame over the tube bank and provide some degree of protection for the tube and superheater element ends. The flow of oil to the burner is controlled by a graduated oil valve. Atomising steam is fed via a separate valve. The mixing ratio of fuel to steam is in the main empirical and varies in relation to firebox volume, fuel viscosity and even the temperament of the fireman! Firing is usually carried out according to the chimney’s emission, which normally gives a good indication of combustion quality. When firing on gas oil, a grey haze is adequate to provide good steaming, while a few can-falls of sand poured down the inspection port when on the move is enough to keep the tubes and superheater flues free of soot formation. On heavier oils though, slightly more smoke has to be made and manual sweeping of the tubes is required. A forced draught is needed for combustion for all but the very lowest of oil settings, as steam is used for the blower and atomisation of the fuel, raising steam in the morning in the absence of boiler pressure would seem to pose somewhat of a problem. To overcome it, compressed air is fed in via a pipeline as a steam substitute, the airline being connected to the auxiliary manifold, while the steam side of the circuit is kept closed. Changeover to steam occurs when sufficient boiler pressure has been raised to supply both blower and atomiser, nominally 50psi. As one would imagine, unlike the gentle warmth that is given off from a coal fire during the early stages of lighting up, the oil Fire’s relatively high temperature is instantaneous and great care has to be taken by the crews not to raise steam too rapidly. Reasonably rapid heating on a steel firebox is not too unhealthy; however the effects on a copper box can be disastrous, taking into consideration dissimilar expansion and contraction rates of, say, copper tubeplate and steel tubes! After a loco has been out of steam for nominally longer than 48hr or is cold from washout, even attempting to raise steam on a very low ‘idling’ setting can be too harsh for the boiler. In these cases, what is known as a ‘slow warm-up’ is carried out. Effectively this means lighting the fire for five minutes then extinguishing it for five minutes, in order to allow the water to circulate at a reasonable rate rather than causing dramatic rates of ebullition and harmful localised heating – both extremely important in terms of good boiler care. The number of times this process is repeated depends on boiler and firebox size; once deemed complete, steam raising continues in the normal manner. As you would expect, perfection of the system did not happen overnight. Indeed it took a number of years of development to achieve the desired results. Linda was the first of the FR fleet to undergo conversion, the equipment being fitted in the autumn of 1970, having been ordered from Laidlaw Drew of Edinburgh some time earlier. At the time, Linda was the regular engine of the then General Manager & Engineer Allan Garraway and was therefore an ideal test-bed for trial running. Also the late Paul Dukes was Works Manager at Boston Lodge, with Paul Harris as his assistant, and between them they painstakingly attempted to perfect the new equipment that had been supplied. Preliminary trials were carried out in the presence of representatives from Laidlaw Drew and were, to say the least, very disappointing. Steam production was poor and various adjustments carried out were to little avail. The burner manufacturers had, maybe, not realised how great the required steaming rate had to he. Testing continued over a period of several weeks and during this time several modifications and improvements were carried out to both loco and equipment. The efforts of the Works’ ingenious team paid off when, in the presence of Mr. Patterson of Laidlaw Drew, Linda handled the Christmas train with hardly any difficulty. Techniques in method of design and operation still had to be improved on. However, by the time of Blanche’s conversion in the spring of 1971, much experience had been gained and a number of rule-of-thumb formulæ evolved. In Blanche, Boston Lodge’s own type of modified equipment and control gear, along with new fuel tanks and four-piece flexible brick arch, were all incorporated from the very start. Unlike her sister, Blanche was in poorer mechanical condition and unsuperheated. Nevertheless, after a few weeks’ testing, the FR had two members of its fleet running trouble free as oil burners. At the end of the 1971 season the Alco Mountaineer was brought into works for similar treatment. Drastic rear end surgery, had to be carried out, in order not only to fit the new equipment but also to improve the steaming and overall economy of the loco. The Alco had never performed well as a coal-fired unit. After a period of trial running on oil, it had reached a standard of performance well in excess of anything achieved with coal tiring. The next FR conversion was probably the most challenging of all – a double Fairlie, namely Merddin Emrys. Construction of the new Earl of Merioneth was already under way and its design incorporated oil firing equipment and auxiliaries. However, as Merddin was in service, it was decided to convert that loco first, to give a reliable testbed; thus, if any modifications were found necessary, they could be incorporated in Earl’s design from the outset. The Fairlie worked its last coal-fired train in October 1972 and conversion work was carried out over that winter. Now a double engine boiler, under normal operating conditions, does not have to steam at a rate equivalent to two single boilers, even though it has just over twice the theoretical capacity. Hence, making a double engine steam did not present a problem; however, making it accept the equipment was quite a different matter. In the words of Bob Harris, ‘the space problem isn’t just doubled – it’s cubed!’ However, once again the engineering team at Boston Lodge proved that they could overcome these inherent problems and Merddin Emrys entered service as an oil burner in 1973. The new Earl of Merioneth was duly completed in 1979, and Prince followed in 1980 after a major rebuild. The Ffestiniog experience was being watched with interest from elsewhere and not surprisingly there were some followers. During the early 1970s, for a number of reasons (ease of operation, coal quality etc), the Snowdon Mountain Railway decided to convert a part of its steam loco fleet from coal to oil firing. This conversion was not particularly successful. Unlike the FR, which had chosen a swirl burner of 1 3/4 in choke diameter, the Snowdon opted for 2 in diameter. Though this may not seem a great difference, the increase in combustion rate proportional to firebox volume is vast and much trouble was experienced in this particular field. The SMR locos were reconverted to burn coal after a period of trial running. During the mid 1970s the Vale of Rheidol Railway was beginning to suffer problems with its coal-burning fleet similar to those faced by the FR a few years previously. The line climbs some 680ft on its 11 3/4 mile run from Aberystwyth to Devils Bridge, with the gradient on the last 4 1/2 miles a steady 1 in 50 through dense woodland. As with the FR in the 1960s, forest fires were becoming a daily hazard and insurance premiums were rising steadily! Indeed, during the long, hot summer of 1976, many service trains on the line were cancelled due to this very problem! British Rail, then owners of the line, referred to the FR for expert advice and it was decided that the fleet of Swindon-built 2-6-2Ts would be converted to burn oil, with the Ffestiniog carrying out the work for BR. The first subject was No. 7 Owain Glyndwr and Boston Lodge set about manufacturing a suitable panplate and ordering the necessary equipment. It was also decided to use the same size burner as on FR locos (1 3/4in choke diameter) although the firebox volume on these locos is much greater than on any FR engine. For instance, Prince has a firebox volume of 13.37 cu ft, a double engine 24 cu ft, while on a VoR loco it is 35 cu ft! However, unlike FR locos, which are worked very hard in relation to their size in order to haul heavy trains on a gradient of 1 in 80, the VoR locos spend most of their time at part load, therefore not needing such a rapid rate of steam production. However, when worked hard the VoR locos do steam very well indeed with this size of burner and judicious use of atomisation provides adequate distribution of the flame to all corners of the box. Work was far enough advanced for the new equipment to be fitted at Aberystwyth Shed during the 1977/78 winter and Easter 1978 saw the first oil- fired VoR steam loco haul a passenger train to Devils Bridge. In those days loco crews on this line, as part of the BR roster, worked main line trains out of Aberystwyth as well as their occasional shifts on the narrow gauge. A certain amount of familiarisation with the newly-installed equipment had to take place before many of the older hands accepted it as a good thing! Initially the FR was responsible for training personnel both to operate and maintain the equipment. As fitters and crews became familiar with the equipment, the VoR was able to become more or less self-sufficient in this respect. The conversion of No. 8 Llewelyn took place in time for the 1979 season and No. 9 Prince of Wales followed in 1981. Fuel oil on the VoR locos is carried in tanks placed inside the old coal bunkers. Incidentally, during the Snowdon’s 1970s experiments, the fuel was carried in tanks fitted to the cab roofs. This may seem a little strange a first glance but it provided sufficient head for the fuel to reach the burner by gravity when the loco was running nose-up on the very steep grades. The VoR has used neat gas oil as fuel from the outset of the conversion programme, it being the fluid equivalent of Welsh Steam Coal. However, this has not been the case on the FR. During the oil crises of the early 1970s, prices rose drastically and to crippling levels. By the mid-1970s, in an attempt to counter this, some very serious thought was given to burning waste oil as an alternative to gas oil. Experiments went ahead quite successfully. Waste oil was collected by society members, car sump oil being a favourite as it generally came free of charge. As time went by the proportion of waste oil burned steadily increased, though it was ‘spiked’ with gas oil before use. Smoke emission and combustion deposits rose dramatically and by 1980 daily tube cleaning by brush as well as sand became normal practice. Scraping firebox walls to remove deposits and allow optimum heat transfer became more frequent. It was also at this time that tube sanding on double engines was prohibited, as most of the sand remained in the firebox – as access to the firebox is on the side wall of a double Fairlie boiler, the sand did not fall into an area of sufficient gas movement to get drawn into the tubes at the required velocity. In October 1979 a heating coil was fitted to Linda’s fuel tank, taking steam from the oil firing manifold drain valve, to pre-heat the fuel before it passed to the burner. This system worked well for a number of years and was fitted to the tanks of other locos in the fleet. Another problem of burning waste oil was frequent blockage of the burner, so primary filters were fitted to the fuel line to catch deposits, though on several occasions these were not enough to absolutely prevent the carryover of unwanted matter that would block the precision-sized burner. However, burning waste oil did have a positive effect on the fuel bill, cutting several thousand pounds per year. One problem suffered after the conversion was the corrosion and cracking of superheater elements, particularly on the return bends. After much experimenting the solution found and adopted was to use 361 grade stainless steel bends. The viscosity of waste oil varies from 28sec to over 3,000sec, so before use it was mixed with proprietary oils to achieve a uniform viscosity of about 120sec. A centrifuge was installed for use to remove solids. The most economic ratio of waste to propriety is in the region of 3:1 but to achieve this needed more waste oil than FR volunteers and members could provide. During the early 1980s fuel costs were around £50,000pa and a great deal of research was carried out into ways and means of trimming the bill. In-service flue gas analysis was used as a guide to improving combustion. At the same time a great deal of work was done on developing the gas- producer combustion system of coal firing to suit FR locos. This particular system is the only coal firing method to rival oil firing and was successfully tested on Linda during 1985-6. The fall in oil prices at the time led to the loco being re-converted to oil. It is interesting to note that conversion between the two systems took only a few days. With the introduction of COSHH Regulations, the burning of waste oil has had to be carefully reconsidered by the FR and as a result the Railway has been burning black (dirty) gas oil and some neat gas oil as an alternative to waste, though collection of waste oil continues as part of a deal to reduce the cost of purchasing black gas oil! At the time of writing, neat gas oil is being burnt in FR locos. Meanwhile, the now-privatised VoR’s parent company the Brecon Mountain Railway had been looking seriously at oil firing for a number of years. Not only could it prevent the risk of forest fires once the line is extended beyond Pontsticill but it would also reduce labour costs. Neither the VoR nor the BMR use volunteers, only a small corps of skilled, flexible staff, all able to turn their hands to most tasks. Therefore any system that involves hidden labour costs is regarded with some reservation. At the end of 1992 the BMR’s Arn Jung 0-6-2WTT Graf Schwerin-Lowitz became due for boiler replacement, which gave an ideal chance to convert the loco from coal to oil firing. A design had been drawn up as far back as 1975, once again on the Laidlaw Drew system. To overcome problems of inaccessibility due to the rear pony truck, a split panplate was designed and fitted. The burner is smaller than those used on the VoR and FR, the firebox volume on this loco being only 11 cu ft. Choke diameter is 1in (Laidlaw Drew swirl burners being available in 1/4 in choke diameter increments). The loco re-entered traffic in April 1993 and after a few teething troubles were cured the loco has performed satisfactorily in service. The BMR also plans to outshop its ex-South African Railways 2-6-2+2-6- 2 Garratt and Baldwin Pacific as oil burners in due course, although it is probable that burner diameters of around 2 in and 1 1/2 in will be needed. Moving the story back to North Wales, in order to counter the lack of availability of good quality coal, the Snowdon Mountain Railway is once again looking at the possibility of converting its fleet to burn oil. The new equipment has been fitted to No 2 Enid, also the recipient of a new, all- welded boiler. The SMR has recruited former East African Railways engineer Eric Cowley to supervise the development of the system. Unlike the other railways covered in this report, the SMR has opted for a design which includes a ‘Mexican trough’ flat burner. It was hoped that once trials were completed the loco would enter service during the 1993 season but in the event the experimental stage was not completed by the end of the season and developments to bring the system to a satisfactory level of reliability was still in progress. Well, the Swiss Locomotive and Machineworks has recently completed a small batch of oil fired rack steam locomotives. To counter problems suffered with other systems, designer Roger Waller went back to the drawing board and developed a totally new oil firing system. Four main, vertically fired, burners are employed and a pilot burner is also fitted for idling and shunting duties. No refractory brick is required with this system and the arch is manufactured from stainless steel sheets. The atomising steam for the burners is superheated, thus reducing the wetness fraction and bringing it nearer to the state of a perfect working gas, a 10% fuel economy is also achieved with superheated atomisation. The oil flow and steam atomisation valves are mechanically combined and the locos are single-manned, though no automatic controls are used for the firing system. Results to date show fuel consumption to be very low, while nearly perfect combustion has been achieved; in fact exhaust emission is cleaner than that of a diesel loco. Back home in Britain, much development is taking place at present, which should go a long way towards countering the effects of problematic firebox layouts such as ‘marine’ type boilers, and indeed many other locomotives that inherently do not lend themselves to the adoption of systems which are currently commercially available. Oil firing has an established place in steam preservation and where circumstances make it a necessary or preferable alternative to coal firing, our railways deserve the best possible system. These are but a sample of the thousands of comments received from visitors to the Stars of Sandstone festival that takes place in South Africa’s Eastern Free State every two years. The April 2019 festival promises to be one of the most spectacular to date. To cap it all and to add a new dimension to the festival, the internationally acclaimed Blue Train will travel to the festival for an unforgettable experience for visitors wishing to experience the world-renowned Stars of Sandstone in the lap of luxury. Stars of Sandstone 2019 takes place from 4th to 14th of April 2019, and will be hosting the Blue Train from the 3rd to the 6th of April. At the Stars of Sandstone festival the exhilarating atmosphere and sharing of the sheer joy of unforgettable sights, sounds and experiences of steam locomotives, vintage cars, aircraft, vintage agricultural equipment and tractors, military vehicles and the Sandstone team of 24 working Afrikaner oxen in action will make for magical memories. The top of the range farming estate, often featured as a movie location, is complemented by its very own 30km of narrow gauge railway set in picturesque surroundings, from fields of crops and cosmos to the beautiful backdrop of the Maluti Mountains on the Lesotho border. The Blue Train will be stationed at Vailima siding at Sandstone next to the 2ft narrow-gauge line, from where guests will be transported by complimentary shuttle to the hive of steam and heritage activities at the festival. When passengers feel the need to relax back on the train in the comfort of their own suite or sumptuous lounge, they will have the option to do so. 07h00 check in at The Blue Train VIP Lounge at Pretoria Station. Pre-departure drinks and snacks are served after boarding. Butlers will usher you to your 5-star suite before departing for Sandstone Estates. Brunch and dinner are served in the stylish Dining Car, and High Tea is hosted in the glamorous Lounge Car. Post-dinner drinks, cognac and Cuban cigars are available prior to retiring to your plush compartment. On day 2 and 3, board a Stars of Sandstone steam train after a leisurely breakfast on the Blue Train. Brunch is served in the Dining Car, whilst a special dinner will be hosted in the Waenhuis Restaurant at Sandstone Estate. You will then be taken on The Stargazer Express steam journey to savour the romantic night sky at Grootdraai. Overnight in your suite on The Blue Train, your glamorous home from home for four days. All Images courtesy: Tilly Smith Dix Publicist & Writer & Stars of Sandstone. The Mountain Wanderer offers scenic journeys at Sandstone. It traverses the full 30 km of track around the estate. Utilising up to 14 passenger coaches and two Garratt locomotives, which are former South African Railways steam locomotives, this train starts and finally ends at Hoekfontein Station. This station dates back to the 1890s and the journey takes between 90 minutes and two hours. The Lesotho Meander is a short trip of about 30 minutes to Grootdraai, which is on a hill above the Lesotho border with South Africa. The Stargazer is a magical evening journey departing from Grootdraai at 20h00 on selected evenings. Grootdraai is a short distance from the Lesotho Border, which is the Caledon River in the valley below. Passengers disembark at this point and observe the dazzling night sky. An astronomer provides an informative talk. Seb’s Railway for children, which offers 2,48 km of fun for youngsters, steams along with a O&K locomotive built in Germany in 1930, which was refurbished after serving the Fazenda Tentativa Sugar Estate in Caxito, Angola many years ago. Following a trip to Kingswear yesterday (9th June) 45212 set off from Taunton for another trip to Kingswear, having overnighted at WSR. It was unfortunate that it was trailing a diesel all day which seemed to be putting in much more effort than was necessary and ended up pushing it around all day. Despite this 45212 still managed to look and sound superb everywhere I saw it. The six shots were taken at Whiteball, Barn Owl Bridge and Waterside on the down, and Greenway for the LE return to Kingswear and returning charter, Burlescombe and Kemps Lane near Frome. She looked and sounded good as she came past us in the lovely warm June evening sunshine on her way back to London Paddington. Hunslet tank Swiftsure and resident Pannier tank 9466 seen working at this event. 03/07/38 “Mallard” Gresley A4…set new world record speed of 126 mph over 300 yards near Peterborough,(Driver Duddington, Fireman Bray from Doncaster) Over 5 miles maintained an average of 120 mph. 04/07/1953 On 30th June 1953, the first ‘The Cornishman’ express ran between the Midlands and the West Country, travelling over what was to become the Gloucestershire Warwickshire Railway. 05/07/1931 Bournemouth Belle all Pullman service introduced. 05/07/37 UK: The “Coronation Scot” breaks record from London to Edinburgh. 06/07/1978 1978: Eleven die in sleeper train infernoEleven people have been killed and seventeen injured in a blaze on the Penzance-to-Paddington sleeper train.Early reports suggest that the fire was started by a discarded cigarette or an electrical fault near one of the top bunks in a second-class compartment.An attendant pulled the emergency cord on the 2130 from Penzance and the train stopped, half a mile from its next scheduled halt at Taunton, Somerset at 0248 BST (0148 GMT). 16/07/1927 Opening of Romney, Hythe and Dymchurch Railway on the English Channel coast (8.25 mi (13 km) of 15 in (381 mm) gauge). 19/07/00 Paris Metropolitain (or metro underground system) opens. 19/07/1926 Atlantic Coast Express introduced. Leaves Waterloo at 11am for Devon and Cornwall destinations. 20/07/1874 The Somerset and Dorset Railway opened their northern extension from Evercreech Junction to Bath , to a junction with the Midland Railway half a mile from Bath station. April to July 1932 Intermittent operation of Ro-Railer between Blisworth and Startford-upon-Avon and the Welcombe Hotel. 26/07/1910 The London and South Western Railway introduces a new Continental service, Southampton-Havre. 26/07/1803 Surrey Iron Railway (Wandsworth to Croydon) opens. Double tracked and horse operated.